Stand facing away from the anchor. 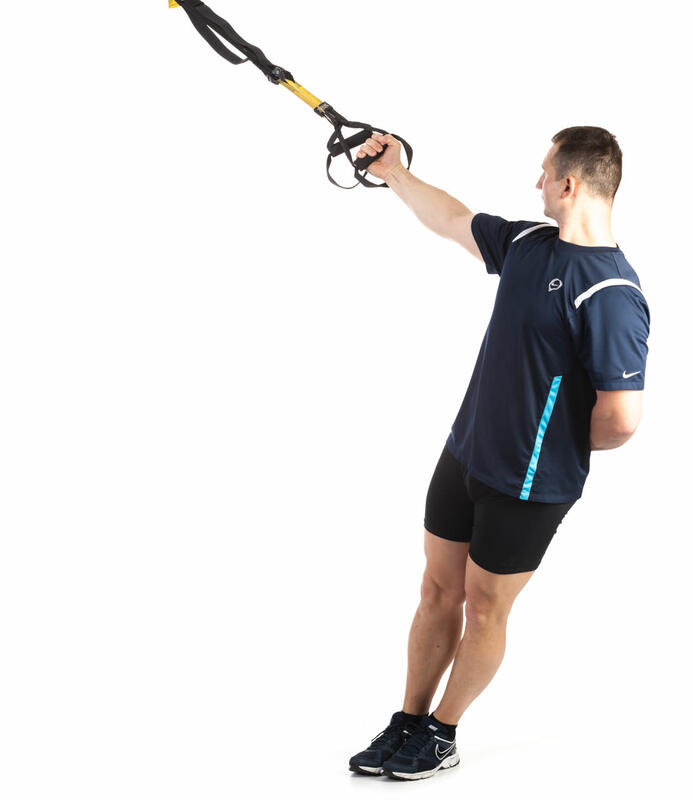 Grab the handles and extend your arms out in front of you at shoulder height. Keep your palms facing down and the weight on the balls of your feet. 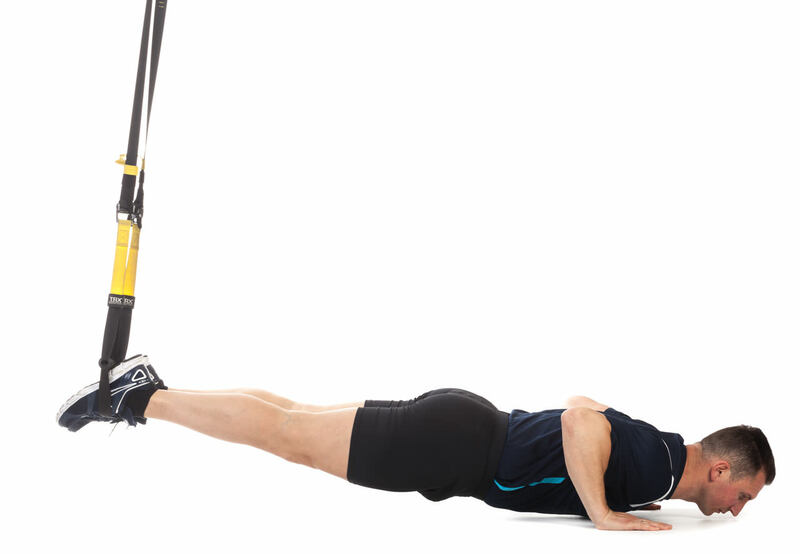 Lower your chest towards the ground and bend your elbows at 90 degrees. Press back up into the start position maintaining body alignment. Repeat the exercise according to the training plan. Stand facing the anchor and grab the handles. Lean back with your arms straight and keep your palms facing down. Curl and pull your hands towards the temples, keeping your elbows high and aligned with the shoulders throughout the movement. Return to the start position maintaining body alignment. Repeat the exercise according to the training plan. Stand facing away from the anchor and grab the handles. 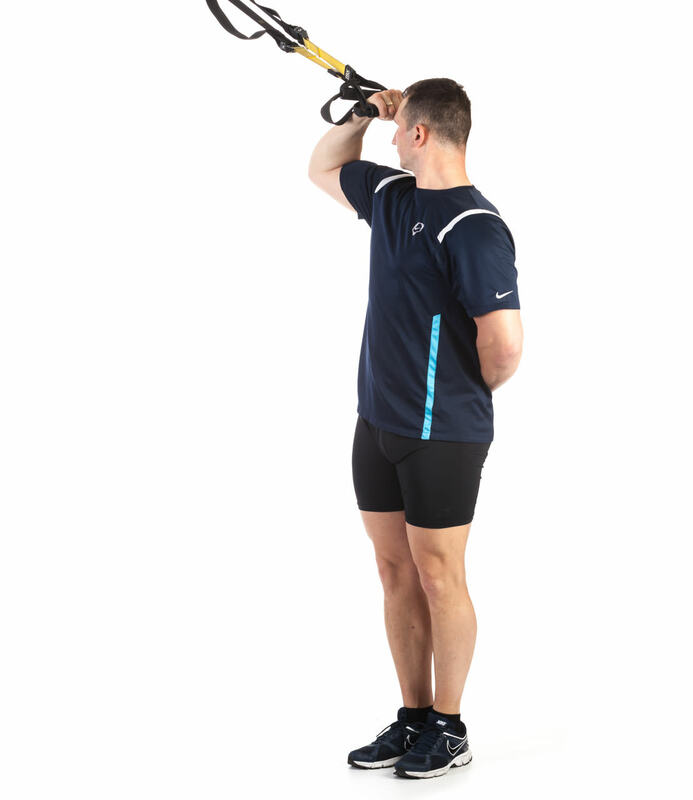 Extend one arm out in front of you at shoulder height with your palm facing down and weight on the balls of your feet. Keep the other hand on your hip. 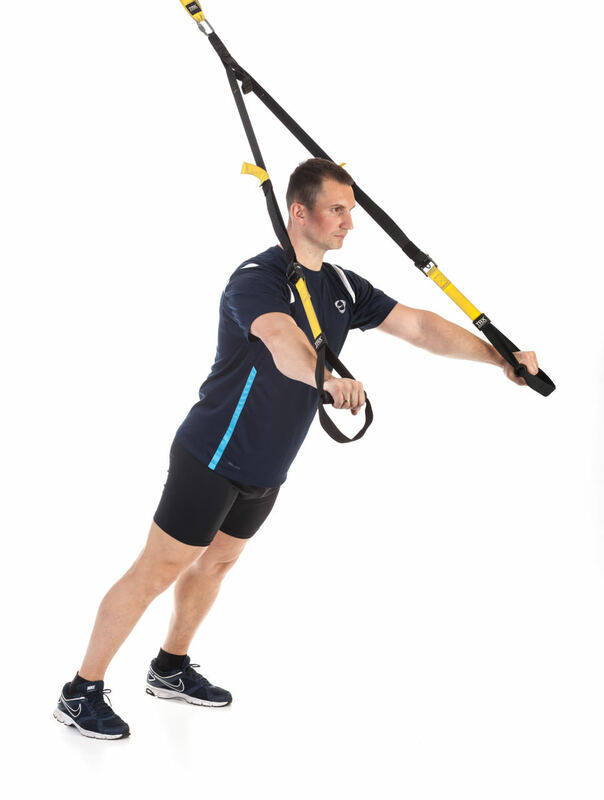 Lower your chest towards the ground and bend your elbow at a 90 degree angle. Stand sideways to the anchor. Keep your arms straight, one on the handle and the other next to your body. Lean to the side away from the anchor. Pull your hand towards the temple, keeping your elbow high and aligned with your shoulder throughout the movement. Kneel facing away from the anchor. Put your feet in the foot cradles. Place your hands on the ground slightly wider than the shoulders and lift up into a plank position. Lower your chest towards the ground, bending your elbows at a 90 degree angle. Press back up. Bring your knees to the chest while raising your hips.